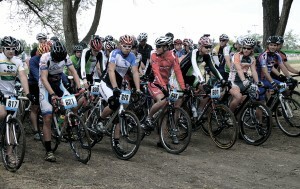 UTCX race number 2 was upon us on a cool clear October 9th. 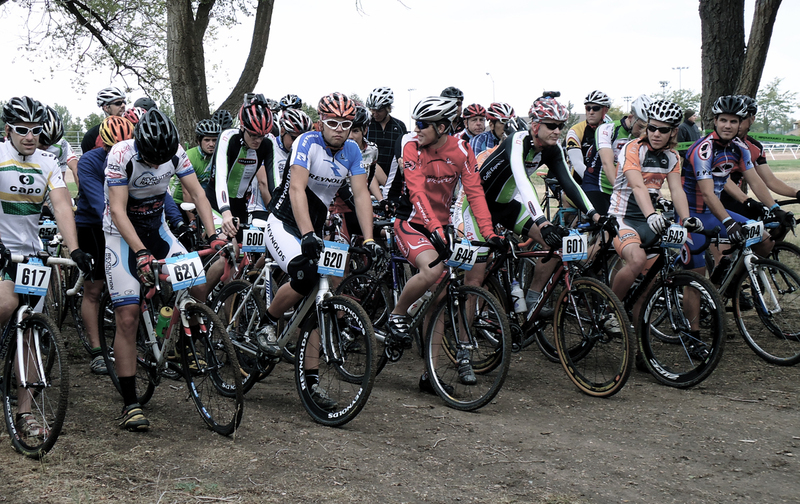 After racing there so many times in 2009 it was beginning to feel a little stagnant and over done. Matt Ohran, director of the UTCX series did a great job of changing the route just enough to make things interesting again. The start line was in the usual place, just north of the parking area. The racers headed east before dropping down to a fast grassy sweeping curve then into the first of the short climbs included on the course. After a quick left hand turn and a drop down the side of the hill the course encountered it’s first change. After picking up speed through the ravine riders were forced over the top of the next hill and onto the other side to get around a large log before making the 180 turn. It added an element of difficulty as the corner was tight and off camber forcing riders to manage their speed and bike handling skills to keep forward momentum and stay on track. After winding back to the other side onto another off camber section we found ourselves on the sandy horse race track in the center of the Fairgrounds. The damp ground kept the sand packed and made for a relatively solid surface on which to ride, as long as you didn’t venture into the inside of the track to cut some distance off of this section of the course. Instead of the usual short section of the track that we got used to last year, we stayed on the track for around 500 yards before heading back through the infield gates and hitting the triple-barrier section. The remainder of the course was mostly the same as last year, winding back and forth around the steeplechase grounds. There was an extra single-log barrier that most found too difficult to hop and were forced to remount on a mellow uphill section. Some riders opted to continue the run to the top while others remounted and rode the rest; racers didn’t seem to come to a consensus on the fastest way to accomplish this section. 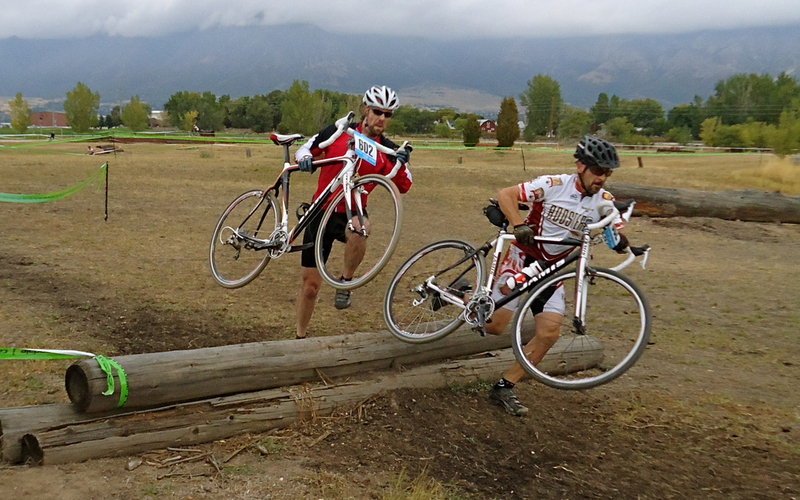 The usual double log-barrier was in effect with riders dismounting to jump the stacked logs with most remounting to hop the single log barrier that is now scarred from wheels and chainrings. I managed to put my own stamp on the log once or twice in an ill timed attempt at bunny-hopping the obstacle. A quick couple of S-turns and it was back to the Start-Finish line. The Slyfox cash zone was in effect with lots of dollar bills, and a few hundred dollar bills, being handed out to those willing to go just a little off course. Racers must be donating quite a bit because the gilly suited madman, that we call our own, always had his mitts full of fresh cash to hand out. Racers were happy to find that the usual bumper crop of goat-heads had been stymied by weed killer before any of the thorns could mature enough to be a threat. After landing many top 10 performances last year but never a podium, Women’s A racer, Kelsy Bingham managed a first place finish. Perennial strong woman Kris Walker took 2nd. And our own local pro Kathy Sherwin rounded things out with a 3rd place finish immediately after taking 2nd place in the Mens 35+ B race; glutton for punishment that Kathy Sherwin. In the Men’s A race, local working man’s hero Bart Gillespie added one more 1st place finish to his trophy wall. Jason Sager took 2nd and Reed Wycoff ended up 3rd in a tightly contested race.